"He Sits. He Stays. He Shoots. He Scores." In the movie Airbud, a 12 year old boy will move to Washington with his family following the death of his father. The 12 year old, Josh is too shy to attempt to try out for the basketball team at his school. Josh is too shy to try and make friends also. Josh will meet a golden retriever by the name of Buddy. Buddy has escaped from an owner who was abusive and an alcoholic. The owner, Norman Snively had kept Buddy locked in a kennel after he once caused some trouble while working at a birthday party. Josh will soon learn that Buddy has the ability to play basketball. Josh will convince his mom to let him keep him however she says he can only stay til Christmas. Once Christmas comes she will take him to the pound if the true owner does not come forward. When Josh wakes up on Christmas morning and does not spot Buddy, he runs downstairs to be greeted by Buddy who is sitting with a bow on his head. Josh’s mom decides that Buddy can stay and gives him to Josh for Christmas. When attempting to try out for the basketball team, Josh backs out at the last moment and ultimately becomes the new water boy. When the team has two spots become available, Josh and Buddy will be placed onto the team. When Buddy first shows up to the game he will cause some disruptions and mayhem. It does not matter however to the audience. Once the game ends, Buddy will come across the coach abusing one of the teammates. He will come across Tom who is being abused by basketballs being thrown at him following the game. When this happens, the coach is fired and quickly replaced. The man who follows the coach is actually an ex New York Knicks player. Buddy will soon become the team mascot and will start appearing during the halftime of each game. The owner of Buddy will spot him on television and will trick Josh’s mom causing him to steal Buddy back. Josh will enter into Snively’s backyard where he can not be seen due to a stack of beer cans. When the beer cans fall, Josh will be seen and Snively will chase after Josh and Buddy. Josh will set Buddy loose to find a new family so that Snively will not find him again. At the championship game, Buddy will come in at just the right time when he leads the team to a win. 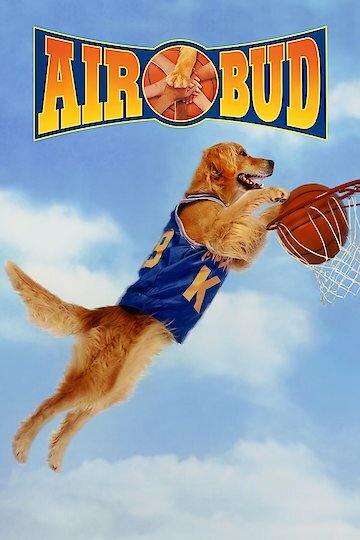 Air Bud is currently available to watch and stream, buy on demand at Amazon, Vudu, Google Play, FandangoNow, iTunes, YouTube VOD online.